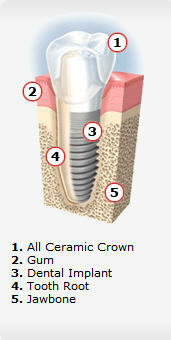 In most cases, an oral surgeon that works closely with your dentist place your dental implant. Permanent solution: There are no loose parts to worry about losing. The dental implant is stable and comfortable. No adjustment is usually needed after placement.